Mt. Vesuvious has nothing on this volcano. 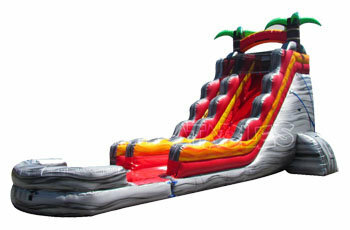 Scale to the top of this 25 foot waterslide and come down quicker than molten lava. If this slide isn't enough of a thrill ride make it a slip n slide to make the excitement last even longer. This slide has everything you need to make sure you have an awesome summer party.